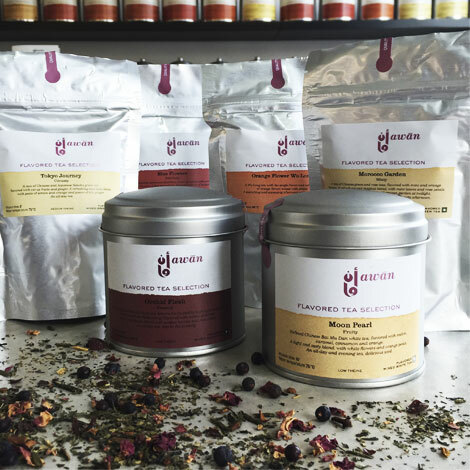 Around 30 Flavored tea blends with different tastes: classic, fruity, flowery, minty, citrussy, spicy or mono flavor. Black, Green, Wu-longs or White teas. 100g loose leaves in re-sealable aluminum bag or in tin box.